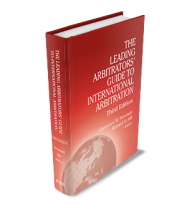 All attendees receive a copy of the Leading Arbitrators’ Guide to International Arbitration – Third Edition, a $195 value, the leading reference and guide on the topic. Juris Conferences LLC is pleased to present its Twelfth Annual Leading Arbitrators’ Symposium on the Conduct of International Arbitration. Leading international arbitrators and practitioners will discuss, in Socratic form, four topics of importance to counsel, arbitrators and business people who are involved in the resolution of international commercial disputes through arbitration. *ONLY available to Full-Time Academics, Government Employees, and Full-Time In-House Corporate Counsel. Grant Hanessian, is a Partner in the New York office of Baker & McKenzie and head of the firm’s International Arbitration Group in North America. Mr. Hanessian is the U.S. alternate member of the ICC International Court of Arbitration, vice chairman of the Arbitration and ADR Committee of the U.S. Council for International Business (U.S. national committee of the ICC), and a member of the ICC’s Commission on Arbitration and its Task Forces on Arbitration Involving States or State Entities and on Financial Institutions and International Arbitration, the AAA-ICDR International Advisory Committee and its Subcommittee on Revision of the ICDR Rules and a founding board member of the New York International Arbitration Center. Mr. Hanessian has more than 25 years of experience as counsel and arbitrator in disputes concerning contract, investment treaty, energy, construction, commodities, financial services, insurance, intellectual property and other matters before virtually all of the world’s major arbitration institutions. Nathalie Voser is a Partner in Schellenberg Witmer’s Dispute Resolution Group in Zurich. She has acted as counsel in arbitration and arbitrator in numerous cases and has advised clients involved in complex multi-jurisdictional disputes before state courts. Ms. Voser has 20 years of experience in disputes concerning contracts in general and in particular regarding construction, civil engineering, energy projects, joint ventures, M&A and investment disputes. She is currently a Board member of the Swiss Arbitration Association, the Arbitration Institute of the Stockholm Chamber of Commerce (SCC) and the VIAC International Advisory Board. In addition, she is also a member of the SIAC Users’ Council and the SCC Rules Revision Committee. Nathalie Voser is a Professor in private law, arbitration law, private international law and comparative law at the University of Basel, where she regularly teaches courses in commercial arbitration and other areas of Swiss private law. Christian P. Alberti is the Director/AVP of the International Centre for Dispute Resolution (ICDR), the international division of the American Arbitration Association (AAA), in New York. He supervises the ICDR’s staff and center management activities and oversees hundreds of large complex multi-party arbitration and mediation covering all types of disputes and industries each year. Prior to joining the ICDR in 2005, Christian headed the Italian Desk of a mid-size law firm in Germany. Christian is the past President and Honorary Member of the Alumni Association of the Willem C. Vis International Commercial Arbitration Moot (MAA) and has represented the MAA as its NGO delegate at the UNCITRAL Working Group on Arbitration sessions. He is regularly invited to speak at international conferences and guest lectures at various law schools about international arbitration and mediation in the United States and abroad. He successfully coaches New York University’s Vis Moot Team since 2007 and its Foreign Direct Investment Moot Team since 2008. He is an associate of Pace University’s Institute of International Commercial Law, a founding member of the International Arbitration Club of New York as well as a member of various international ADR associations. Stephen R. Bond is Senior of Counsel in the London office of Covington & Burling, specializing in international commercial arbitration. He has served as advocate or arbitrator in more than one hundred international arbitration under the rules of the International Chamber of Commerce, the London Court of International Arbitration, the Stockholm Arbitration Institute, the Japanese commercial Arbitration Association, the Vienna Centre, and UNCITRAL. Mr. Bond’s experience includes disputes in the energy, international joint venture, construction, technology, sales and distribution fields. Mr. Bond is a former Secretary General of the ICC International Court of Arbitration and US member of the ICC Court. Brian Casey is an independent arbitrator who has over 38 years of experience in commercial dispute resolution. He is a former principal of Baker & McKenzie International and a former Chair of the firm’s North American litigation practice group. Mr. Casey is an adjunct professor at the University of Toronto Law School, a member of the board of directors of the American Arbitration Association and chair of the ICDR Canadian advisory committee. During his career, he has been retained as arbitrator, tribunal chair and counsel in numerous commercial arbitrations, both ad hoc and institutional under the auspices of the LCIA, the ICC and the AAA/ICDR. He has also acted in investor/state arbitrations under Chapter 11 of the NAFTA administered by ICSID and other investor/state arbitration arising out of bilateral investment treaties. Robert B. Davidson is the Executive director of JAMS Arbitration Practice in addition to being a full-time arbitrator and mediator. He has sat in more than 150 domestic and international arbitrations as sole arbitrator and as a member of tripartite panels in both institutional and ad hoc settings. Cases arbitrated have involved complex commercial and financial business issues, including contract actions, disputes under APA and SPA agreements, construction, insurance and reinsurance claims, oil and gas disputes, securities, tax, real estate, intellectual property, pharmaceutical licensing disputes, employment disputes and sports matters. Over the course of his career as a litigation partner at a major international law firm, Mr. Davidson acted as counsel for clients in numerous arbitration, including serving as lead counsel in domestic and international arbitration including 1 cases before the Iran-U.S. Claims Tribunal. Susan Dunn is the Co-founder and Head of litigation funding for Harbour Litigation Funding. She has been described by Litigation Funding Magazine as the “Grand Dame” of litigation funding because of her extensive experience in this area. Ms. Dunn has originated and managed more than 150 litigation funding cases totaling more than three billion pounds in claim value, since 2002. Harbour Litigation Funding now advises on more than 400 million pounds of assets under management. She has also been featured in The Lawyer’s Hot 100 for her work in developing the use of litigation funding by lawyers, insolvency practitioners and claimants. John Fellas is a Partner in the New York office of Hughes Hubbard & Reed. He is Co-Chair of the firm’s international Arbitration and Dispute Resolution Practice and Co-Chair of the International Practice. Mr. Fellas focuses on the areas of international litigation and arbitration.. He has practiced in both the U.S. and England, and as well as being a member of the New York Bar, he is also a Solicitor of the Supreme Court of England and Wales. He has served as counsel, and as chair, sole arbitrator and co-arbitrator, in arbitration under the AAA, ICC and ad hoc rules. Mr. Fellas has also been retained to act as an expert witness on U.S. law in proceedings in other countries. Mark W. Friedman is a Partner in Debevoise & Plimpton’s New York and London offices. He has broad experience in civil and criminal matters, with a concentration on international arbitration and litigation. Mr. Friedman has represented clients in a wide variety of disputes, including those concerning energy, mining, construction, shareholder relationships, joint ventures, telecommunications, and investments. Many of his cases have involved complex technical matters, including manufacturing processes, infrastructure design and engineering, environmental issues, real options and other topics. He has acted as counsel or arbitrator in disputes under the rules of the LCIA, ICC, AAA, ICDR, CPR, UNCITRAL and ICSID. Teresa Giovannini is a founding Partner of LALIVE specializing in international arbitration (including setting aside proceedings with the Swiss Supreme court), as well as art law. She has participated in more than 160 international arbitrations eith ad hoc, in particular UNCITRAL, or administered by various institutions including AAA/ICDR, ICC, ICHEIC, ICSID, LCIA, SCC, Chamber of Commerce of Milan, Chamber of Commerce of Venice and Swiss Chambers (Geneva, Zurich and Ticino). Her areas of specialization include disputes relating to procurement contracts, sales, license, agency, joint venture and shareholder agreements in a wide range of sectors, in particular infrastructure projects, aviation, transfer of technology, construction of turnkey factories, pharmaceuticals, insurance luxury goods and arts. Wulf Gordian Hauser is the Senior Partner of Hauser Partners Rechtsanwälte GmbH. His main areas of practice are international commercial arbitration, mergers and acquisitions, capital markets and banking and corporate finance. He is Austrian member of the ICC court and has served in over 80 arbitrations. Hilary Heilbron is a Barrister with Brick Court Chambers and an independent arbitrator. She has extensive experience as counsel both in international arbitration and commercial litigation acting for a wide range of national and international clients in very substantial disputes. Ms. Heilbron regularly sits as an international arbitrator. In approximately 80 appointments she has handled a large variety of different types of claims relating to parties from all around the world many involving foreign law. Her recent appointments include claims relating to joint ventures, international sale of goods cases, telecommunications issues and power, water and energy issues including pricing issues. Ms. Heilbron’s appointments have been under ICC, LCIA and ICDR as well as ad hoc appointments. She has also been appointed as an emergency arbitrator by the AAA (ICR rules) under their Article 37 procedure. Doug Jones is a leading international commercial and investor/state arbitrator. He has experience in both ad hoc and institutional commercial arbitration under the AAA, ACCL, ACICA, AMINZ, CCCL, DIAC, HKIA, IAMA, ICC, ICDR, ICSID, KLRCA, LCIA, SIAC, UNCITRAL and other international rules. The arbitration in which has been involved include infrastructure, energy, commodities, intellectual property, commercial and joint venture, and investor-state disputes spanning over 30 jurisdictions around the world with sums claimed up to US$1 billion. Vladimir Khvalei is a Partner in the Moscow office of Baker & Mckenzie. He heads the firm’s CIS Dispute Resolution Practice in Moscow. Mr. Khvalei serves as vice president of the ICC International Court of Arbitration and is included on the list of arbitrators of the arbitration institutions in Austria, Belarus, Dubai, Hong Kong, Kazakhstan and Russia. He handles international arbitration cases as a party counsel and arbitrator, particularly with respect to the arbitration rules of the ICAC, ICC, SCC and UNCITRAL. Among the arbitrations he has been involved in Mr. Khvalei has represented a Western oil company in a number of arbitration disputes against a major Russian oil company under various rules as well as representing a Chinese company in numerous disputes in the Moscow Arbitrazh Court related to allotment of land plots for construction. Christoph Liebscher is an independent arbitrator in Liebscher Dispute Management as of 2014. Prior to that he was a Partner in Wolf Theiss. His main practice areas include arbitration, competition law, construction and engineering, energy and raw material, infrastructure, intellectual property and licensing, international trade and trade finance, joint ventures, mergers and acquisitions, and corporate law. Mr. Liebscher has more than 30 years of experience in more than 300 disputes. He has acted as arbitrator and counsel under numerous arbitral rules applying more than 20 different legal systems. In addition, he is a member of the working groups on the reform of the Austrian arbitration law. David Lindsey is a Founding Partner in Chaffetz Lindsey . He represents plaintiff and defendant multinational companies in cross border disputes most often decided by international arbitration tribunals under the rules of the ICDR, the ICC, the LCIA and other top international arbitral institutions. Mr. Lindsey has been recognized by Legal 500 USA as a leading lawyer in International Arbitration as well as by Chambers Latin America. Alexis Mourre is a founding Partner of Castaldi Mourre & Partners, a leading boutique international arbitration and litigation practice. Effective July 1, 2015 he was appointed as President of the ICC international Court of Arbitration. Mr. Mourre’s longstanding links with IC also include service as a Vice-President of the ICC Institute of World Business Law. He has a wealth of experience as counsel, arbitrator and expert in ad hoc arbitrations and cases conducted under the rules of prominent arbitral institutions, including those of ICC. Mr. Mourre, has held a number of leadership positions on the International Bar Association’s Arbitration Committee, the London court of International Arbitration and the Milan International Chamber of Arbitration. Gabrielle Nater-Bass is a Partner in the Zurich office of Homburger. Her practice focuses on international commercial arbitration as counsel and arbitrator and on complex state court litigation. In the area of international arbitration and litigation her focus is on joint ventures, shareholder agreements, merger and acquisition disputes, long-term supply contracts, agency and distribution contract, international commodity sales, energy, telecommunications, shipping and pharmaceuticals. She has acted as party counsel, co-arbitrator, chairperson, and sole arbitrator in numerous international arbitrations. Ms. Nater-Bass is on the Swiss list of ICC arbitrators. Lawrence Newman is Of Counsel in Baker & McKenzie’s New York office. He practices mainly in the areas of international litigation and arbitration and has represented clients in courts and before arbitration tribunals. Mr. Newman has served as arbitrator in cases under the rules of the AAA/ICDR and the International Chamber of Commerce. He is a co-editor of The Leading Arbitrators’ Guide to International Arbitration which is the basis of the Leading Arbitrators Symposium on the Conduct of International Arbitration. Christopher Newmark is a Partner in Spenser Underhill Newmark in their London office. As a busy arbitrator he has acted as chairman, sole arbitrator or party appointed arbitrator in international arbitrations under ICC, LCIA, SCC and UNCITRAL rules, as well as ad hoc proceedings. He was the first emergency arbitrator to be appointed by the ICC under the Emergency Arbitrator Provisions introduced in the 2012 ICC Rules of Arbitration. Mr. Newmark was appointed Chairman of the ICC Commission on International Arbitration and ADR with effect from January 1, 2014. Nikolaus Pitkowitz is founding Partner and head of dispute resolution and real estate at Graf & Pitkowitz. His practice has always been international. Dr. Pitkowitz is considered one of the preeminent Austrian dispute resolution practitioners. He acted as counsel and arbitrator in a multitude of international arbitrations, including several high profile disputes, most notably as counsel in the largest ever pending Austrian arbitration (a multi-billion telecom dispute). Dr. Pitkowitz is also active as counsel in significant real estate projects and currently serves as chair of the IBA Real Estate Section, the world’s largest association of real estate practitioners. Michael Polkinghorne is a Partner in White & Case’s Paris office. He focuses on advising clients on arbitration and litigation matters, notably in the areas of energy, telecommunications, project finance and infrastructure. Mr. Polkinghorne has served as counsel and arbitrator in numerous arbitrations conducted under most major institutional rules, helping to resolve disputes for a range of significant commercial and sovereign clients. He is the former Australian member of the International Court of Arbitration of the ICC, and a current member of the ICC Task Force on arbitration involving state entities. He has handled disputes arising in many different countries, and has significant experience in the area of foreign direct investment and acting for and against states. He is able to apply his considerable knowledge and insight, gained through years of experience, to guide his clients through sometime prolonged and highly complex proceedings. Stefan Riegler is a Partner in Baker & McKenzie’s Vienna office. He has significant experience in dispute resolution. He is a founding member and former chairman of the Young Austrian Arbitration Practitioners. Dr. Riegler advises national and international companies on commercial disputes, especially with regard to infrastructure and construction projects, as well as oil and gas. Dr. Riegler is also experienced in handling corporate and damage disputes, as well as in distribution matters. He acts as counsel before state courts and arbitral tribunals and is increasingly working as an arbitrator. Dr. Rieg3r has acted as counsel in various institutional arbitrations (particularly under the Vienna Rules, the ICC Rules and the DIS Rules) and in ad hoc arbitrations. He has acted as a chairman, a sole and party appointed arbitrator in arbitration under the Vienna Rules and the ICC Rules and in ad hoc arbitration. Jacomijn van Haersolte-van Hof is the Director General of the LCIA. Previously, she practiced as a counsel and arbitrator in The Hague at her boutique firm HaersolteHof. Ms. van Haersolte-van Hof set up her firm in 2008 after three years as of counsel in the international arbitration group at Freshfields Bruckhaus Deringer in Amsterdam. She has sat as arbitrator in cases under the ICC, LCIA and UNCITRAL rules, as well as those of the Netherlands Arbitration Institute (NAI). Ms. van Haersolte-van Hof has arbitrated cases at the Royal Dutch Grain and Feed Trade Association and the Institute of Transport and Maritime Arbitration, both based in the Netherlands. She is on the ICSID roster of arbitrators and is currently sitting on an ad hoc committee. In addition, she was also involved in setting up the arbitral process for the Claims Resolution Tribunal in Zurich, which analyzed claims from Holocaust survivors over dormant accounts in Swiss banks. Nathalie Voser is a Partner in Schellenberg Witmer’s Dispute Resolution Group in Zurich. She has acted as counsel in arbitration and arbitrator in more than 50 cases and has advised clients involved in complex multi-jurisdictional disputes before state courts. Her areas of specialization include general contract law and international procedural law such as (pre-trial) attachment and recognition of foreign judgments and arbitral awards. Her practice focuses on contracts regarding construction, civil engineering and energy related projects, research and development, distribution and license agreements, joint ventures as well as mergers and acquistions. She is currently a Board member of the Swiss Arbitration Association, the Arbitration Instittue of the Stockholm chamber of Commerce and the VIAC International Advisory Board. In addition, she is a member of the SIAC Users’ Council and the SCC Rules Revision Committee. Janet Walker is a full professor and past Associate Dean at Osgoode Hall Law School. She currently teaches private international law, international commercial arbitration and complex litigation in the JD and the professional LLM programs and is Director of the Professional LLM in Civil Litigation and Dispute Resolution. Professor Walker has served as an ICC and ICDR arbitrator in various matters and she consults and serves as expert in matters of international litigation and arbitration and complex litigation. She he is a member of the panel of foreign arbitrators of the ICDR, CIETAC, SHIAC, KLRCA and a member arbitrator of Arbitration Place, Toronto, and Outer Temple Chambers, London. How important is it that the initial conference be held in person, rather than by telephone? Who should attend the conference? Counsel only? Or parties as well? What should be covered in the conference? What should arbitrators request or require that the parties consider, and possibly take positions on in the conference? Should the tribunal issue an order prior to the conference regarding the conference agenda? What should it contain? Any mandatory provisions? Are there disadvantages in issuing such an order? What consideration should be given to possible settlement or mediation, dispositive motions, the parties’ position on damages, including theories of damages, experts to be required, possible bifurcation of proceedings; issues that will be dealt with by experts? How far into the future should the schedule that results from the initial conference go? Up to and including the hearing? Should it provide for post-hearing arguments and briefs? Should the arbitrators require the parties provide submissions and exhibits electronically, and, if so, in a specific format? When is bifurcation appropriate? Inappropriate? Should arbitrators always defer to parties joint requests for bifurcation? Are there circumstances in which requests for partial awards should not be entertained? Are oral hearings always necessary with respect to requests for partial awards? With ICC, and possibly other arbitrations, to what extent should terms of reference be specific as to issues to be dealt with in the case? What are best practices for making these documents most useful to the tribunal and parties? 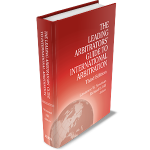 Is there a predominating style of taking evidence in international arbitration, i.e., have we arrived at a Lex naturalis arbitri void of cultural differences? Presentation of evidence by video conference. Is this effective? The future? Is it always necessary to have an oral hearing? When is summary disposition permissible (or necessary)? Who controls the length of a hearing? Should arbitrators impose their views or defer to the parties? Are there too many witnesses, too many documents – is advocacy lost among the detail? How can the tribunal or parties control tactical decisions by parties not to cross-examine key witnesses? Is witness conferencing effective? Is this only for experts? Are there particular circumstances when it is most appropriate? Inappropriate? Should the tribunal-appointed expert always appear at a hearing and be subjected to questions about his or her conclusions? To what extent are arbitrators aware that parties are supported by funding services? Is this of interest or concern to arbitrators and parties? If so, why? Does it matter if a funder that the arbitrator uses, or has used when acting as counsel, is providing funding to a party in the case? Suppose the arbitrator is familiar with the funder’s practices, including, for example, the extent to which they may or may not have an influence on the conduct of the case? Is this is a conflict? Would a court think so? What if one of the parties thinks a funder is the real party in interest on the other side in a case – are there jurisdictional issues that arise, as, for example, in an investor state arbitration? Should the tribunal order disclosure of outside funding as early in the case as the organizational hearing? If yes, what should be disclosed? The terms of the funding agreement? The text of the agreement? The amount of funding so far? Any limits on the amount? Should lawyers’ contingent fee interests be disclosed? Should lawyers’ payment of their clients costs (for example, experts) be disclosed? Should the involvement of funders have a bearing on the award of costs? On issuing an interim award on security for costs? Are there best practices as to how a Tribunal should organize its work. Should the chairman be delegated all procedural responsibilities? Or, if less, what should the chairman have delegated to him or her? Does the efficiency of the arbitration as to the delivery of the award depend entirely on the chairman? What can the wing arbitrators do to increase efficiency and assure quality? To what extent are arbitrators using secretaries? Should, or must, arbitrators disclose that they are using secretaries? If the arbitrators want to use secretaries and disclose their identity and involvement, how should they do it? Are arbitrators complying with the ICC’s note applicable to arbitrators and secretaries? For non-ICC arbitrators, should there be rules? What can parties and counsel do if they are not aware of certain arbitrators’ practices in this regard until after they appoint them? Or the chairman, whom they may not have appointed? What can be done if an arbitrator is not doing his or her work as the case proceeds or is not paying attention in the course of the proceedings? What if this is the chairman? May two arbitrators ever meet without the other arbitrator? What should the third arbitrator do if the other arbitrators do meet without him? Compromises – how imperfect is a unanimous award? Should the tribunal accommodate the potential dissenting arbitrator? If so, how? For example, with respect to the award of legal fees? What does the dissent accomplish? When should, or may, the arbitrators rule on the basis of theories or arguments that the parties have not made? What if the arbitrators believe that parties have not understood the precedents they cite, or the facts they refer to, in the same way as the arbitrators do? When should the arbitrators go to the parties and ask for their comments? Should there be a difference between legal and factual issues? What should the arbitrators do if they do not understand certain expert testimony? For example, damage evidence? Should they ask the parties for comments? What if they are working under a deadline to get the award out? Or they don’t want to confess their inability to understand the evidence? To what extent may arbitrators consult the Internet — as Wikipedia, for example — on factual matters, such as how certain machines in the case actually work? Or how certain financial investments function? at a special conference rate of € 219,00 through € 239,00 per night (depending on room type) that includes all applicable taxes and fees. Reservations must be received by 19 February 2016 to receive the preferred conference rates. After 19 February, 2016 rooms can be booked at conference rates based upon hotel availability. All arrangements are between the registrant and the hotel.